On May 11th, 2018, the American University of Afghanistan held its eighth annual commencement ceremony with the AUAF community, Board of Trustees, government representatives and families of graduates. 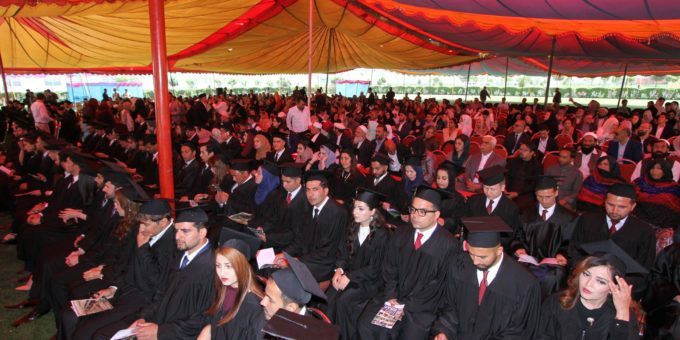 One hundred and thirty nine students graduated from the American University of Afghanistan with Bachelor degrees in Law, Business, Political Science and Information Technology as emerging leaders. Here are some of the grand moments of the Class of 2018 commencement ceremony.